The Turkish Central Bank cut interest rates on repurchase in a week , by 0.5% , bringing them from 10% to 9.5%. Unchanged , however, are still the rates on overnight loans ( increased up to 12% in January ) and those on the deposit facility ( 8%). The choice was made by the Governor of the Central Bank of Turkey, Bashi , in opened opposition to the Turkish Prime Minister Recep Tayyip Erdogan. It is the evident that the Bashi’s main fear is the specter of currency speculation , as happened to the currencies of some emerging countries, as a consequence of tapering policy of implemented by the Federal Reserve. The idea of Prime Minister Erdogan , however, would be to significantly reduce the interest rate (until the 4.5 %). 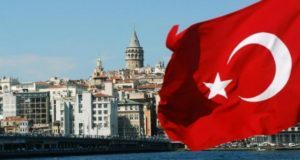 The consequence could be the upsurge of the inflation ( already at 9.4% in April 2014 ) and the further devaluation of the Turkish Lira and therefore of the profits of foreign investors. Another reason that makes the Turkish Central Bank so cautious in rate cuts lies in the commitment to keep inflation below 5%. This goal is far from being achieved and Bashi is afraid about the reputation of the central bank. The consequences of monetary policies can already occur in some aspects of the Turkish economy . The demand for gold , in fact, has fallen by 42 % (in the first quarter of 2014); This aspect of the economy is primarily due to the weakening currency and the measures introduced by the Banking Regulation and Supervision Agency ( Bbdk ) -that restrict the consumption and price volatility. This data are in a report by the World Gold Council , which highlighted the link between the weakening of the Turkish lira , the increase in local prices and the consequent preference of investors towards investments denominated in euro and dollars. The study finds , however, that investors remain interested in the market and show their readiness to re-enter at the appropriate time . The prohibition of installment payments for the purchase of gold by credit card , which entered into force on February 1 last year to the decision of the Bbdk , has further affected the market demand.